Let's face the fact that the crochet staples looking quite 1970's inspired. It's safe to say, there is kind of boho, hippie touch that makes these clothes look individual and very original. 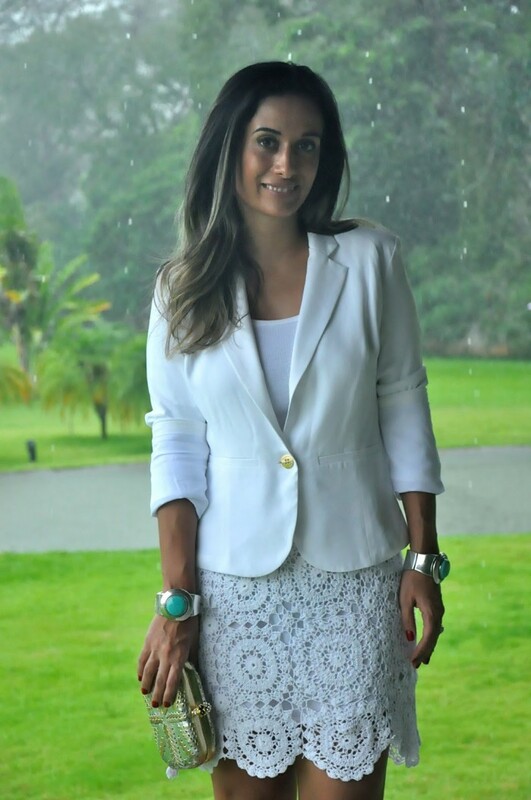 In today's post I want to show you some of unique ways to wear crochet skirts this season. This bottom piece can be easily paired with any top, starting from chambray shirts to knitwear basics. This skirt can be easily worn with different body types. That's a pretty casual update that includes a chambray shirt tucked in white mini. You can finish the look by adding statement neckpiece, shoulder bag and a skinny belt. There are always colorful styles that are perfect for teaming with your everyday basics. I personally don't usually wear bright hued options, but I love seeing girls and ladies wearing colorful and different pattern crochet. In this post we are going to find amazing designs starting from bohemian outfits, designer offerings to novelty yarn styles, vintage looking must-haves and colorful offerings. 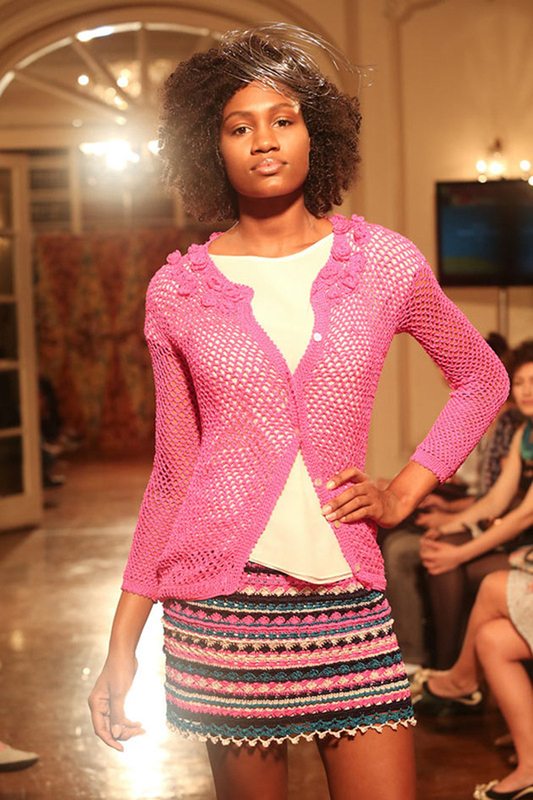 If you are going to wear crochet it should be a main focus of the look, making everyone stare at your amazing staple. Lots of girls love wearing such bottom for its breezy, breathable and easy look. The cropped lightweight crochet cardigan looks awesome paired with cool tee and pale pink maxi skirt. One of the favorite looks that people enjoy when wearing crochet is the bohemian style. We see a floor-length design paired with a beautiful crispy white shirt, statement belt and leather tote bag. If you want yourself an eye-catching look, then I recommend to try on maxi skirt with a cool swimming knit bra. Keep the summer breeze. We see a black floppy hat worn with black strapless crop top and maxi length white crochet skirt. 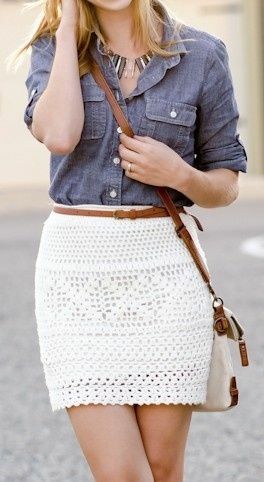 Light blue chambray shirt is tucked in a midi pencil skirt. Finish the look by adding wrap bracelets, shoulder brown leather bag and suede, grey booties. Keep it cool and boho inspired by wearing a denim vest, white tank top and cool maxi bottom.